When students embark on academic life at university, they have lots of new things to deal with. For many students, it may be the first time they’ve been asked to write a substantial piece of work using academic sources. For some, this is likely to be at best daunting and possibly overwhelming. So, how can the Library help you to develop the information literacy skills of your students? What we have learnt, both from our own experience of teaching these skills and from the extensive literature on the topic, is that information literacy teaching is most effective when it is embedded within the curriculum – built-in rather than bolt-on[i]. A built-in approach to information literacy teaching can help to ensure relevancy, avoiding the scenario whereby library workshops are viewed as extra-curricular activities, attended only by a minority of highly motivated students and evaded by those students who might most need to improve their skills. When we embed our teaching within your modules, we work with you to ensure that subject content is relevant. That way, your students are more likely to grasp the key concepts of information literacy. Information literacy teaching also needs to be timely. Ideally, we see students at the start of their academic journey and then continue to support them throughout their studies. By taking a scaffolded approach to learning, we can match relevant learning outcomes at each level of study with relevant skills. As an example, first year undergraduates need to understand the purpose of referencing but they probably don’t need to be introduced to Zotero or Endnote when they first arrive. By contrast, we would be doing our masters students a disservice if we didn’t tell them about reference management tools in good time for them to take advantage of the tools for their extended projects and dissertations. As an example, under the ‘Authority is constructed and Contextual’ heading, we have mapped the learning outcome to evaluate the appropriateness of sources with ‘Use research tools and indicators of authority to determine the credibility of sources, understanding the elements that might temper this credibility’. This would then translate into an aim of the teaching session to: ‘Critically evaluate resources: not just material type but bias/currency within similar resources’. And actually, how do we expect students learn good data management skills, if we don’t teach them? There are many ways that we can embed information literacy skills into teaching. 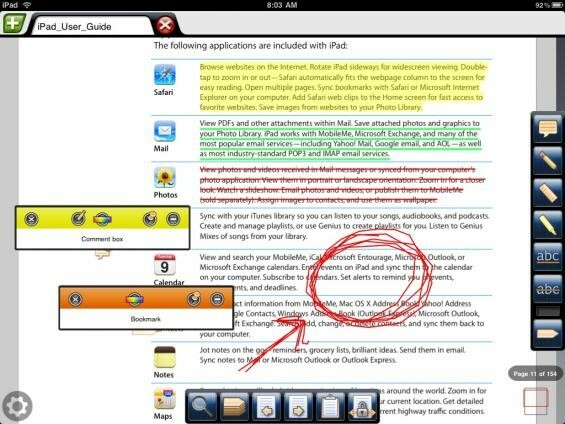 A further example is the introduction of digital note taking and annotating tools, within the context of teaching how to read a journal article. This particular skill has the added financial benefit for students of reducing dependence on printing. Under the heading of ‘Research as Inquiry’ we ask students to analyse their topic or research question and produce appropriate keywords. We teach them how to string together these keywords logically to enable them to search effectively. We then explain how to analyse results and how to modify their search strategies accordingly. 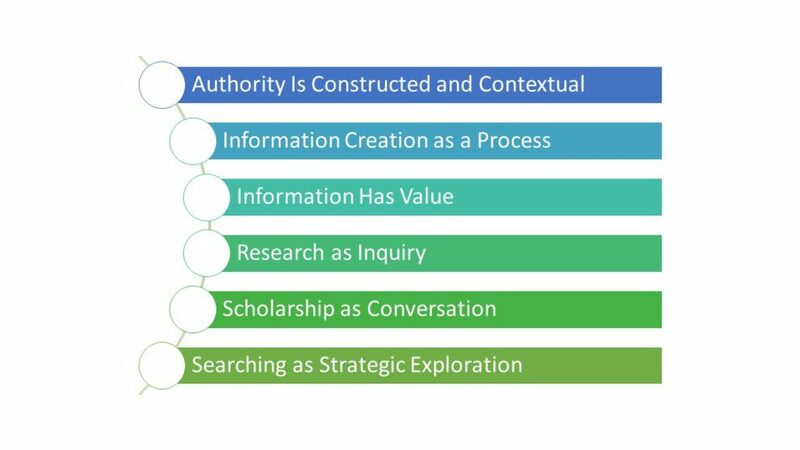 It is clear from our observations of students carrying out searches that these research skills to be learnt. We have access to a great range of online resources at Sussex, from Nexis and Mintel to Orbis and Thomson One, and we know from the analytics that these aren’t always well used. By embedding this content into teaching, we can ensure that students are engaging with the highest quality and industry leading sources for their research. This approach has worked well for Business Strategy teaching. For the last few years, the Library has delivered a lecture for the Business Strategy module, taking students through the process of searching for case study resources, and understanding how to navigate and manipulate the data for company and industry reports. In addition, we offer follow up support through our 1-2-1 tutorials and instant messaging, hopefully taking some of the pressure off the tutor for dealing with queries. We would love to work with you to embed these essential skills into teaching at all levels within the School. Please get in touch if you would like to work with us. [i] Wingate, U 2006. Doing away with ‘study skills’. Teaching in Higher Education, 11(4), pp. 457- 469.